This year marked the Foundation’s seventh year carrying out the Mission to Mongolia, and included the largest volunteer group to ever travel on behalf of Virtue Foundation. 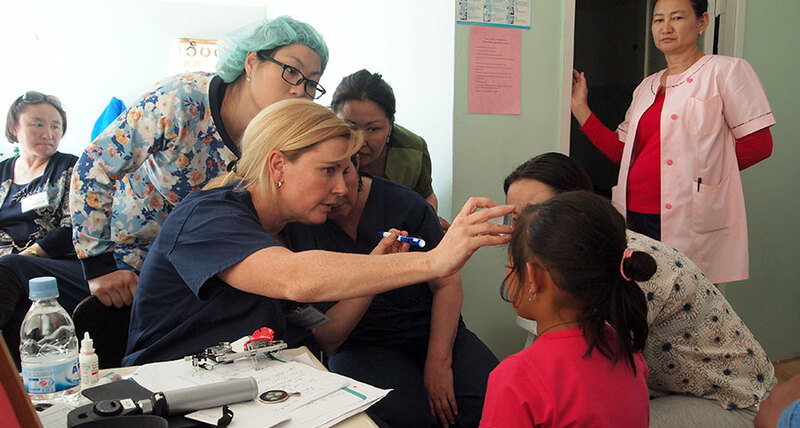 The VF volunteers spent over two weeks in 4 clinical locations in Ulaanbaatar, and also the Western Regional Diagnostic and Treatment Center of Mongolia in Khovd, where people from 5 surrounding provinces traveled to be screened and operated by the Mission Team. Over the two-week Mission, 850 patients were screened and over 260 operations were carried out in areas of neurosurgery, hepatobiliary surgery, micro-vascular surgery, ENT, oculoplastics, strabismus, cataract, and glaucoma, making this year’s mission yet another successful program.